The 2019 crapfest begins early this year with “Glass”, where M. Night Shyamalan has, once again, proven he’s never been a true enfant prodige of the modern cinema. “Glass” is a direct follow-up to the events from “Split” and a long-stretched one to “Unbreakable”. David Dunn (Bruce Willis), the super-strong man from Philadelphia tracks down the DID lunatic Kevin Crumb (James McAvoy), in order to stop him from another gruesome murder. Somehow they are both followed by a psychiatrist Ellie Staple (Sarah Paulson) and placed in a mental health facility under her supervision. Soon, they learn that both are held captive to be treated for delusion of grandeur, along with the third local “superhero” – Elijah Price (Samuel L.Jackson), also known as Mr. Glass. M. Night Shyamalan had his definite downs in the career and a weak voice in my head kept on nagging me that there is too much pressure concerning “Glass” to let it shine. After a disturbingly grotesque and highly entertaining “Split”, fans of the Indian director remained breathless as to what may come in the surprisingly revealed ending of a trilogy. We all expected “Glass” to be terrific. Needless to say, I was over the moon to see the three sharp-as-a-knife characters put into one film, “Glass”. The set-up was perfect – characters, skewed psychologically and certain about their uniqueness, meeting together in a hostile world. It was all there, wasn’t it? These expectations, however, might be the exact reason why Shyamalan’s film doesn’t deliver even half of the promise built in “Glass” and “Unbreakable”. In the beginning of “Glass”, Shyamalan takes us back to Kevin Crumble, the freak suffering from an extreme dissociative identity disorder. After a brief introduction (remember how disturbing McAvoy could get? ), the director hastily moves to David Dunn – just to make sure the viewers remember who this guy is after all these years. These two clash relatively quickly, but that’s the first yellow light for the viewers. What is the time frame here? How many years have passed since the events from “Split”? Nonetheless, the two finally see each other. The choreography of their fight is schematic, and Willis looks particularly uninterested in the whole throwback time spent on his character, whilst McAvoy’s high-as-a-kite acting is blown out of proportions from the start. Once these two are caught by the stiff doctor Staple, the plot derails like the train in “Unbreakable”. Shyamalan, given three tremendous characters and a build-up of his own universe, literally shrinks it all to a few poky rooms with white walls (or mellow pink) and a whole lot of gibberish that is delivered by Sarah Paulson as if she’s re-enacting every basic psychiatrist in the cinema history. Even scenes, which are obviously written to become the film’s cult moments – like the first get-together of the three superhumans being interrogated by Staple – deserve nothing more than a yawn. They are no “Avengers”, sure, but these three possess something much more valuable – they are closer to our reality. Unfortunately, whenever any of the big trio tries to make the audience care about them, they are given nothing to offer by the script, maybe apart from what was brought from both “Split” and “Unbreakable”. That happens, because Shyamalan has no clear vision for “Glass” to engage. He switches gears way too often, throwing the weight over to McAvoy’s fearless bravado (for the most part), sometimes hands the stage over to Willis or Paulson too. None of them, however, is given enough attention to become something more than we already know. This refers mostly to Kevin Crumble, whose character wasn’t developed by an inch in comparison with “Split”. McAvoy might have a lot of fun, but I didn’t share even half of it. Not to mention Bruce Willis, who literally seems like he’s about to fall asleep the whole time. Even Jackson’s role is diminished, specially since his character remains mute for a good 2/3 of the film. Therefore, the escalation that takes place in the third act of “Glass”, is Shyamalan losing his mind like Nicolas Cage in the infamous Youtube video. 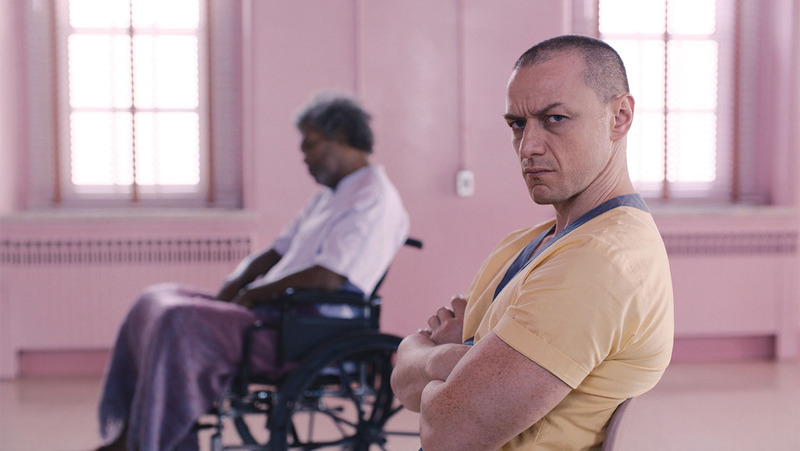 The star-studded cast wrests the spotlight voraciously from each other, causing “Glass” to eventually turn into a mayhem and a final nail to the coffin of Shyamalan’s career. The final reveal is a forced-out “just another twist” and the whole symbolism of it falls painfully flat (given the ordeal you just sat through). “Glass” was supposed to prove that although Shyamalan might have made “The Last Airbender”, he caused the whole cinematic world to lose its mind with the mind-bending twist at the end of “Split”. When watching “Glass”, I couldn’t help myself but see the topic of the delusion of grandeur very close to Shyamalan’s heart. Deep down, there is passion for cinema here, for all the comic-book canvas that he likes to paint on. He loves it and that faintly beams from “Glass” too. Despite it all, Shyamalan lacks the prowess to pull of a sharp thriller with an array of characters, multiple plots and origin stories. 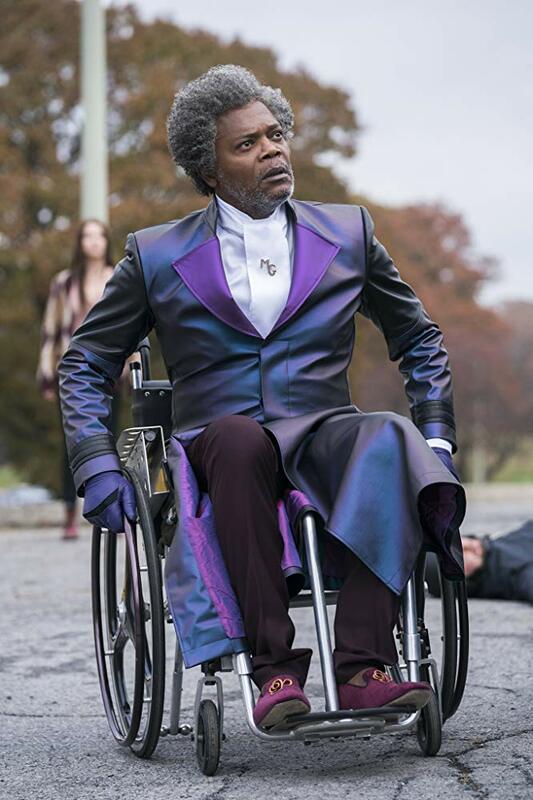 And I’ll be honest – my heart is broken, because I can tell Shyamalan really wanted to make “Glass” shine. He was prepping for that film. However, this seems like a farewell to him being a “gifted filmmaker” – a bitter ending to all of us, who hoped to see him blossom. He won’t make significant cinema guys and “Glass”, as sad as it is, is the proof. Next Next post: The Most Boring Oscar Nominees In Years?